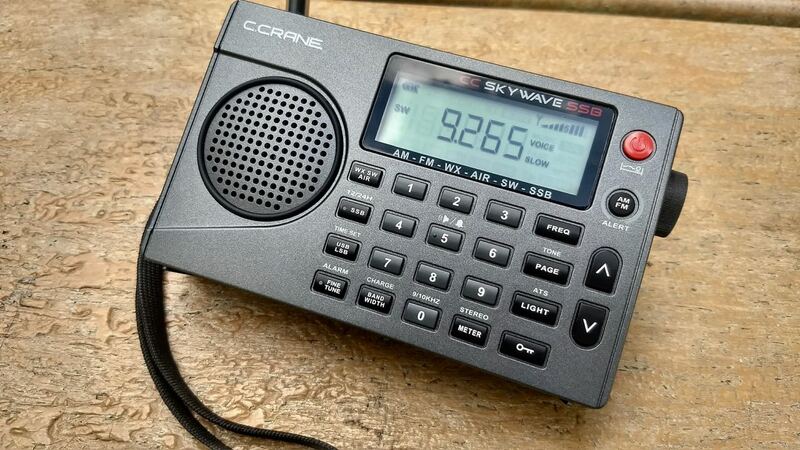 The CC Skywave SSB is the latest travel portable radio by C. Crane company. The CC Skywave SSB features all of the specifications of the original CC Skywave, but also includes Single Sideband mode (selectable USB/LSB with a fine tune control). We’ve been testing a pilot production run model of the CC Skywave SSB at the SWLing Post. Once we have a full production run unit, we will post a comprehensive review. On October 5, 2017, C. Crane posted a pre-order page for the CC Skywave SSB. The price is $169.99 US. We will post a review of the CC Skywave SSB on the SWLing Post in the coming weeks, pending production unit availability. This entry was posted in C Crane, Portables and tagged C. Crane, C. Crane CC Skywave SSB, CC Skywave SSB, Portables. Bookmark the permalink.